Sub Saharan Turning Point (SSTP) is a nonprofit organization registered in the United States and it’s affiliate or sister’s organization in Africa is called Sub Sahara Betterment Care Foundation (SSBCF). We seek to improve the quality of life in Sub-Saharan communities by filling the gap in local government services. 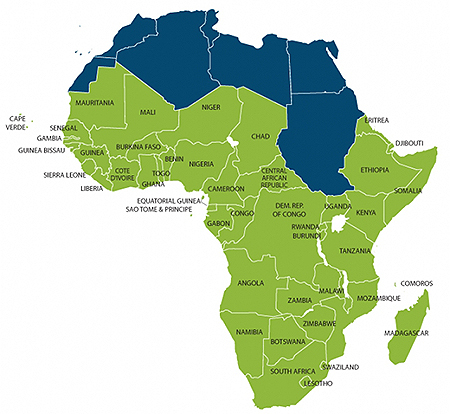 Sub-Saharan Africa is the region of Africa south of the Sahara Desert. It is made up of forty-two countries on the African continent and the six island nations close to it. Africa’s rich cultural and ethnic traditions reflect very different heritages throughout the region. A strong Christian influence, dating from colonialism, exists in most of the area. We invite you to browse our website to learn more about us and what we can do improve life for those living in this area.